This week I was in Beijing for the launch of the Chinese edition of Easygenerator. It was my first visit to China and I will try to reflect on all the impressions I had; not on eLearning but on the country. We launched Easygenerator at an e-learning conference in Beijing. I had the honor of being one of the keynote speakers. I talked about trends in e-Learning in Europe and the USA. One of the trends is that the learner is taking control over his own development, and the learning department is losing control. The word control was probably the keyword for the week; both in my speech and in my China experience. The government in China controls a lot of things. I knew that I would not have access to Facebook, Twitter and Google because they are blocked by the Great Chinese Firewall, but it goes much further than that. China is not a socialistic plan economy anymore and it is obviously not a democracy. I would describe it as a controlled society. The government clearly indicates boundaries where you have to operate within. Within these boundaries you do have ‘freedom’, although that freedom is mostly economically defined. 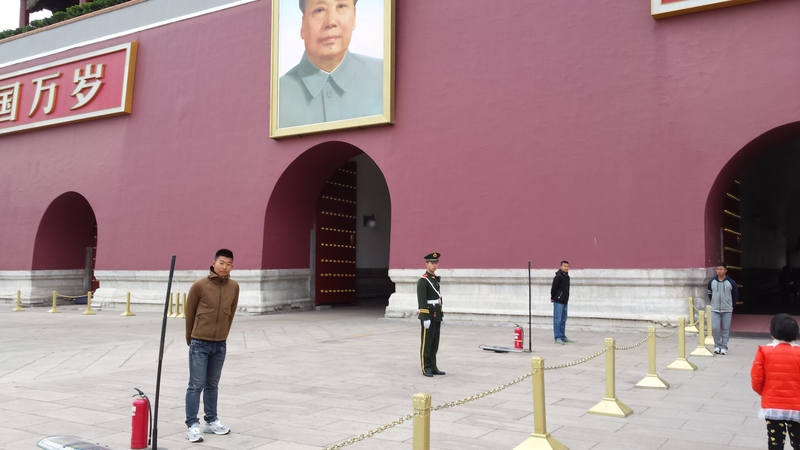 This became most clear when we visited the Tiananmen square. The square is located in the center of the city. 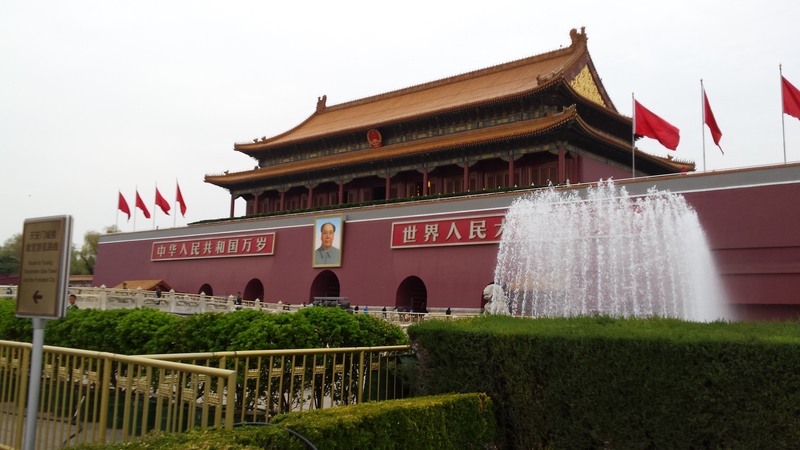 The Forbidden city, Mao’s tomb and a bunch of important buildings are located there. We know the square of-course as the place that played a key role in the democracy movement of 1989, ending in the Tiananmen massacre. Now more than ever this square is the symbol of China. If an incident would occur here, it would show that the government doesn’t have complete control. The square is fenced of completely, you can only access it from one of the four corners via a pedestrian tunnel. In those tunnels you are checked as if you are entering an airport. On the square there is a lot of police. I also noticed that people in civilian clothes are standing watch, they are equipped with a fire extinguisher and a shield. All I can come up with is that this is due to the incident in 2001 when 5 members of the banned movement Falun Gong set themselves afire in front of the entrance to the forbidden city. The police has a strange habit by the way. They always have their flashing lights on, making sure you will notice them and stressing the fact that you are being watched. 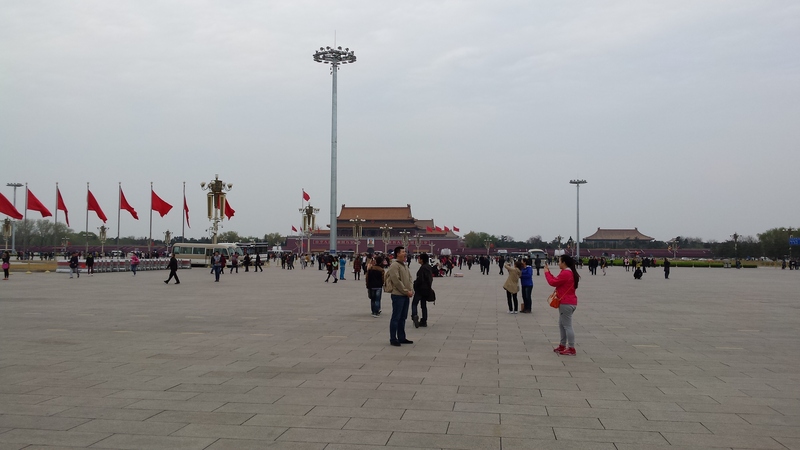 When I walked passed the square I asked my Chinese companions: “Are these security measures still necessary, is the government still afraid for a new upraise like in 89?” That was clearly a question I was not suppose to ask. After some hesitation they explained that nobody ever talks about the events of 89, but that at the same time everybody knows it. This is an indication that the control of the government extends into the minds of people (but of course that is also the case in our society). 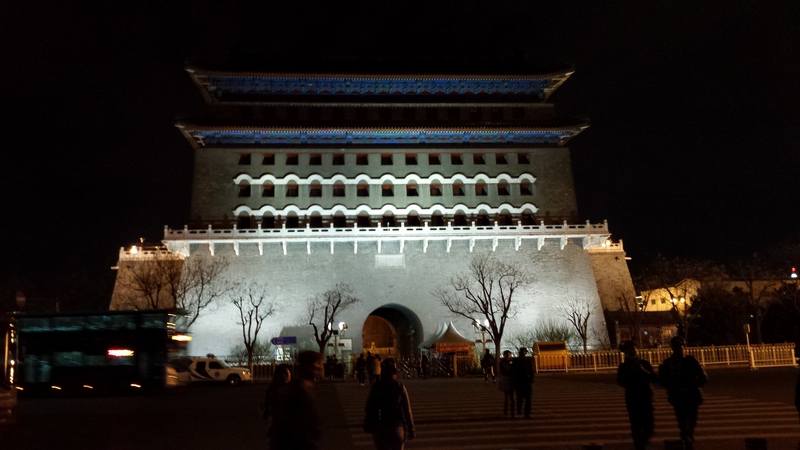 China has a very different and also much more ancient history than Europe or the VS. The written history dates back to 2100 BC. And even then they had an emperor and and a long lasting dynasty. The last dynasty ended in 1911, it was followed by The Peoples republic of China; so no democracy at all in 4000 years of history. In the West we always asume that democracy is the best way to organize your country, but if you just look at the numbers you can have some doubts if it is the most effective way; the economic growth in 2014 in China was 7.3%, compared to the US (2.5) and Europe (1%). I found it very interesting to talk to people who do have this very different background. The cool thing was that in these conversation it was not a contest (who has the better solution?) but an exchange of thoughts. It is clear that we can learn a lot from each-other. The other thing I concluded was that China will not try to copy our capitalistic model. The will look at it, take the things they like, but apply it in their own manner. China is not a copycat, they will do it their way. In a way Beijing is a city like any other. 20 million people, a lot of traffic-jams and bad air. But if you visit some of the relics from the past it is something else. 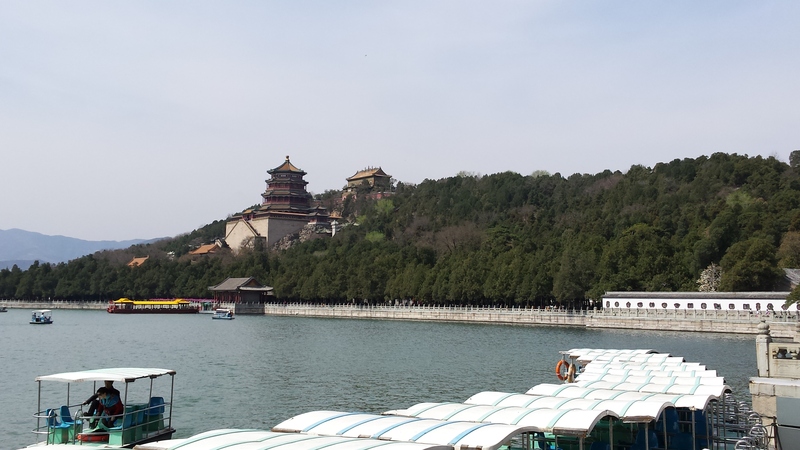 I had the opportunity to visit both the ‘Forbidden city’ and the ‘Summer Palace’. At both places the old emperors would dwell. And these places are incredible. I did not have enough time to really see a lot but already I do not have words to describe it. So I will just share some pictures and videos. Next Track and trace Learners results. What do SCORM compliance, AICC, XAPI and CMI5 mean? Updated!